Any savvy consumer knows how to extend the life of a wardrobe. You can winterize your summer clothes, wear the same dress in different ways over and over again, and maximize the potential of a maxi dress. 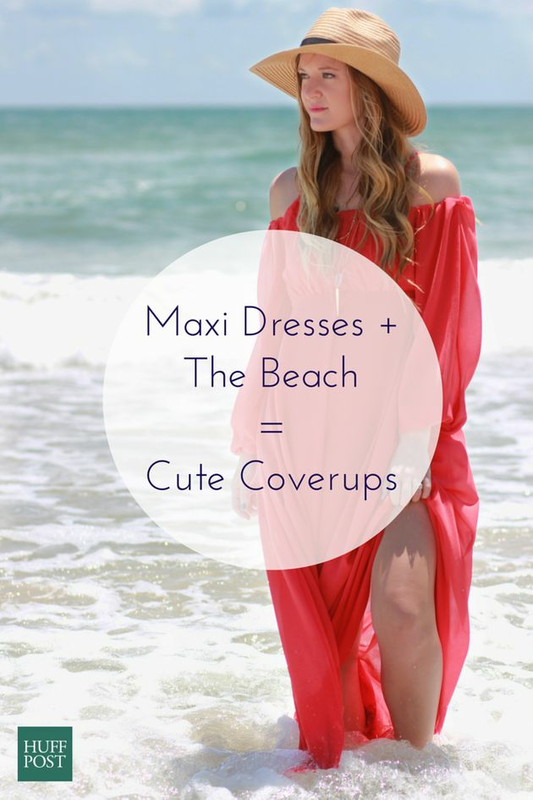 That’s right, those floor-sweeping frocks usually reserved for weekend brunches and frolicking in the park do a great job moonlighting as beach coverups. Maxis are basically well-tailored muumuus, so you’ve got style and comfort all rolled into one. Check out the 10 multi-tasking maxi dresses on sale we’ve rounded up below. Which one will you be taking to the beach this weekend? Top row: Kain “Twiggy” dress, $88; H&M patterned dress, $70; SheIn strapless dress, $16; Ricki’s Ikat dress, $50; May Kool “Bohemian” dress, $24. Bottom row: Chicwish “Boho Tribe’ dress, $70; Maurices “Tiered Gauze” dress, $20; Topshop “Rose Print” dress boutiques online, $90; Topshop “Striped Square Neck” dress, $40; Superdry “Festival Sweep” dress, $90.